Transfer State Personnel Appeals Function to State Human Resources Commission - This proposal transfers the state employee appeals process from the Office of Administrative Hearings to the State Human Resources Commission in the office of State Human Resources (OSHR). The move is intended to streamline the appeals process. Appeal to the Superior Court remains an option for state employees. The first glaring concern is the fact that the language to appeal to the Superior Court was removed from the statute in the last Legislative Session. The existing law provides that a decision by OAH is appealed directly to the N.C. Court of Appeals. Therefore there no longer exists an appeal to the Superior Court. 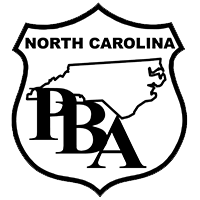 PBA has learned that funding for personnel to hear employee appeals would be removed from Administrative Law Judges (ALJ's) and provided for "hearing officers" in the State Human Resources Commission (formerly known as the State Personnel Commission). For years, officers who won cases before the ALJ would see their cases reversed by a politically appointed State Personnel Commission which could simply ignore the independent finding of facts and conclusion of law by a real judge. As far back as 1996, statistics showed that in 96% of the cases in which employees won their case before the ALJ, the State Personnel Commission reversed the judge's decision. Following years of PBA efforts to change this ridiculous process, the statute was amended in 2011, making the Office of Administrative Courts ALJ's decision final, thus eliminating the step to go back to the State Personnel Commission. This change really did streamline the appeals process while ensuring independent and fair due process. As you know, the problems that needlessly slow the appeals process came from the administration, not from the officer. While there is room for improvement in the process, eliminating judicial decisions with a return to a biased political process is simply a way to remove legitimate and real due process from the system. Period. The Governor's budget does not address NCGS 126-34.02 which at this point still states that an officer, after receiving a final agency decision, can file a contested case petition before an ALJ pursuant to Article 3 of Chapter 150B of the General Statutes. However, the session has just begun and anything is possible. Plan now to notify your legislator and tell them you are opposed to any effort to eliminate the ALJ's from the process or to change their final decision making ability. You can find your legislator by going to www.ncleg.net. This matter will be addressed at our upcoming Division Board Meeting, and we will continue to keep you posted. Please notify the PBA office or your chapter leaders if you have any questions.